Little Dead Man is here! So the time has finally arrived! Little Dead Man, my first Young Adult (middle school and up) novel, has launched! It is currently available as ebooks on Amazon, Barnes & Noble, Smashwords, and Kobo. Click away to go to your favorite retailer and snag yourself a copy. Oh, and don’t forget about Goodreads. What is Little Dead Man? “Garret Weir has just turned seventeen. For any normal teen this would be quite the milestone. But for Garret it’s even more amazing he’s made it to this age, because in Garret’s life the human population of the Earth is gone, changed and turned into flesh hungry zombies, or “necs”, as he calls them. In the world he was born into, except for his parents that have kept him safe in a small compound hidden in the mountains of southern Oregon, Garret has never known another living soul. However, he is not the only seventeen year old in the family. Just the only one living. For Garret is alive and breathing and his twin, Garth, is undead, has been since birth, leaving him the size of an infant and attached to Garret’s spine. And he won’t leave his brother in peace. Now, the print version will not be available for another couple of weeks, but I’ll be sure to let you know. 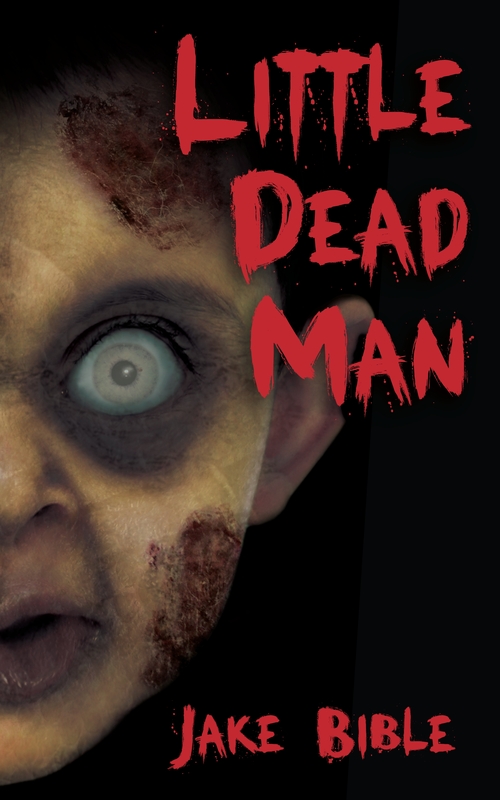 In the meantime you can order Little Dead Man for your ereader of choice. You can also purchase the ebook as a gift and send it to that favorite young adult (or adult) in your life. ‘Tis the season! If you do buy the book make sure you go back and like the page and also post a review. Even just a couple of words such as “The best piece of literature written in the 21st Century!”. That kinda stuff helps. Enjoy and I’m looking forward to hearing how you like the novel and discussing it with you! Posted on November 12, 2012, in Little Dead Man, What's Up.... and tagged apocalypse, bible, cannibals, dead, exclamation, fiction, future, genre, horror, jake, Jake Bible, Little Dead Man, novel, science, science fiction, scifi, shotgun, tyrants, undead, writing, Young Adult, zombie, zombies. Bookmark the permalink. Comments Off on Little Dead Man is here!.